The traditional and comfortable gains performance in the world of Vollebak. 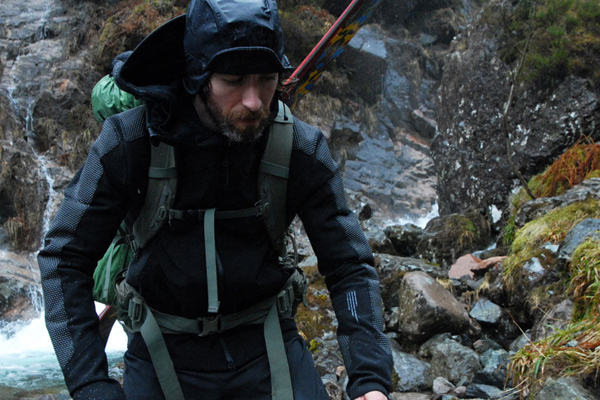 Adventure sports enthusiasts Nick and Steve Tidball, founders of Vollebak, designed a hoodie/jacket duo that meets survival standards for endurance athletes. The Baker Miller Pink Hoodie (£220.00) has everything you want in a hoodie, plus a full arsenal of innovations to calm you before a big race and recover from exertion when it’s over. The pink hue of the mesh visor induces relaxation and reduces heart rate. Other features slow breathing and lower oxygen consumption. Warm, breathable, water repellant, windproof and supremely comfortable, this hoodie creates an environment that fosters relaxation and recovery. Even more extreme, Vollebak’s military-inspired Condition Black jacket (£750.00) uses nanoparticles and a fabric covered in 3D ceramics for flexibility and exceptional resistance. This cutting-edge fabric keeps the body warm in life or death conditions, what the military calls “condition black”. It even has inner pockets that favour the fetal position to better ensure survival. When your body is ready to give up, Vollebak gives you the means of reaching the finish line.